The First Designer Trade Exhibition opened today at the Atlantic Hall of the International Congress Centre in Plovdiv. The initiative belongs to the Fashion Design National Council at the Bulgarian National Fashion Chamber and the fashion magazine "BG Look", with the support of the Ministry of Labour and social Policy. On October 29th and 30th, 10 am - 6 pm, young fashion talents will have the chance of a CV-and-portflolio presentation. 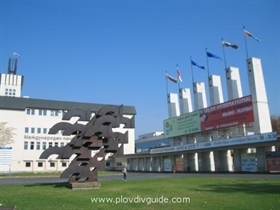 The Plovdiv Fashion Week is organised by the National Fashion Chamber, the Plovdiv International Fair and the Bulgarian Chamber of Commerce, under the egide of the Plovdiv mayor, Dr. Ivan Chomakov.